Aeon Timeline 2 is the next best thing to a personal assistant. If you're ever fantasised about having your own personal assistant, listen up. 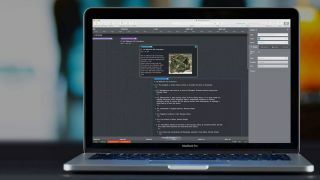 Aeon Timeline 2 for Mac & Windows is a close second to the real thing, helping you manage complicated projects and meet tight deadlines with its timeline tools. The best part — this time management tool can be yours for about what you'd pay a personal assistant for an hour's work! It’s currently on sale for $19.99, that's 60% off the normal price of $50. Whether the project is big or small, Aeon Timeline 2 helps you get things done. The timeline tool helps you manage your workload efficiently, keeping you on track, organised and on top of deadlines. There's a feature that allows you to divide events into groups based on their relationships with other entities, then filter the events based on dates, durations, tags and more. You can even link events with images, documents and websites to keep track of your research and have supporting documentation easily on hand. Take advantage of Aeon Timeline 2's pre-configured templates, calendars and display options, or create your own perfect ones. This handy software offers a helping hand along nearly every career path — helping workers manage their events, entities and relationships on an intuitive interface. Grab Aeon Timeline 2 for Mac & Windows today for just $19.99.